Amazing tides and charming islands! We dry out on the lovely Shell Beach on tiny Herm Island. We filmed on Guernsey, Herm and Jersey. 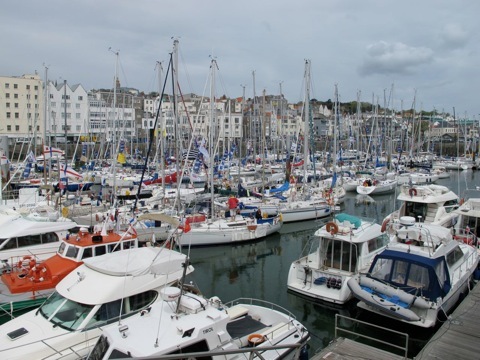 Here’s Guernsey marina. Busy, but they always try to fit everyone in! A walk in the woods! 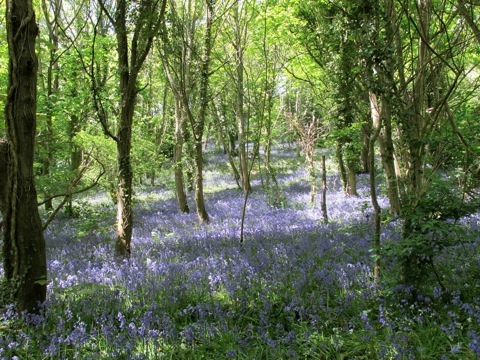 Bluebell season makes for a magical spring. 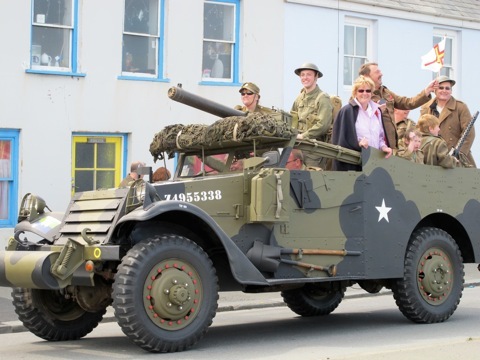 We were lucky to be there on the 65th anniversary of the liberation of the Channel Islands. Much celebrating and historic vehicles in an excellent parade! We filmed it of course! In the harbour in Jersey! 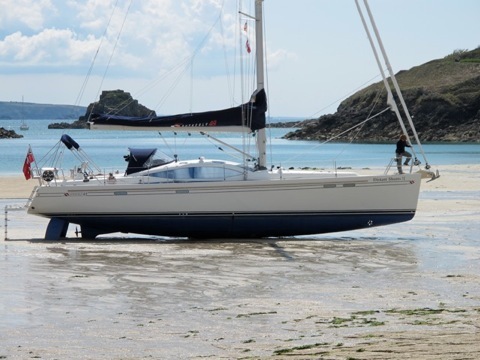 One of our first longer sails with the new Southerly 49 was across to Guernsey in the Channel Islands. Huge tides and strong currents shouldn't keep you from exploring these lovely islands. 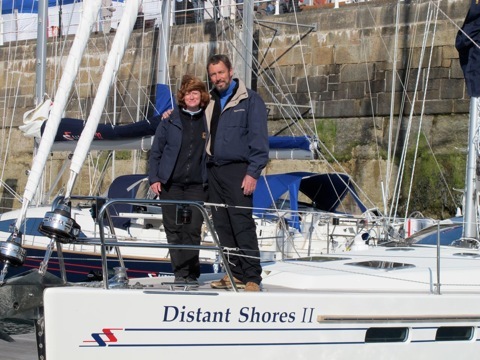 We filmed an episode of Distant Shores here in Season 7 visiting, Guernsey, Herm and Jersey. Season 7 Also includes the UK boating scene in the Solent then north to Holland and on to the Baltic!